Vending machines to decorate and have a snack. 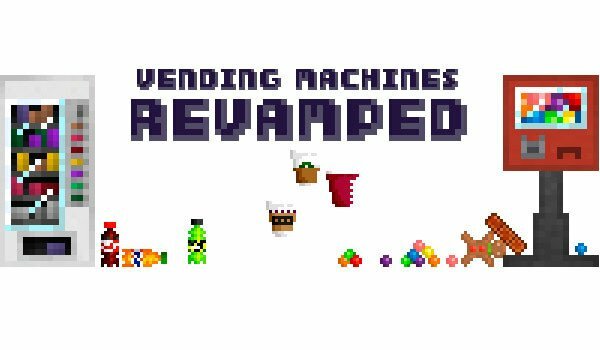 Vending Machines 1.7.10 is a mod that adds two types of vending machines, which will be great in any world with modern buildings in large cities, as it will give a touch more urban to your constructions. These machines are not only to look, can actually sell things like candy, chocolate bars, soft drinks and various kinds of drinks, biscuits, etc. These snacks in addition to restoring the health of our character, we will altered effects. To get the contents of these machines, we pay with coins. There are three types of currency, coins clay, iron and gold. 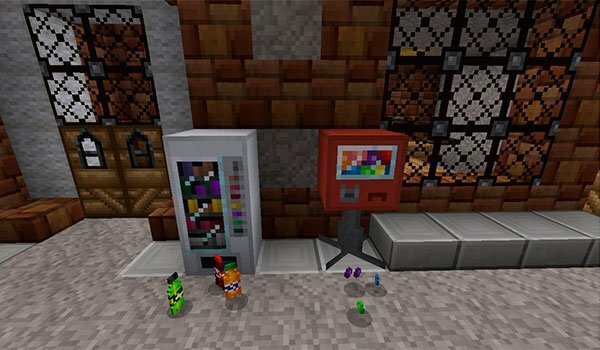 How to install Vending Machines Mod for Minecraft 1.7.10? Modern vending machines, to decorate your cities!